Men's Carhartt® Double Front Work Dungarees. Work wear that works. 12-oz., firm-hand, 100% ring-spun cotton duck. Resilient and comfy through the hardest day's work. Full seat and thighs give you room to operate. Left leg hammer loop plus handy pockets for must-have tools. Chap-style double front construction offers long-wearing protection while double knees with cleanout openings accommodate knee pads. Back pockets are reinforced for durability. Leg openings fit over boots. Machine wash / dry. Imported. State Size and Color, as available in the Shopping Cart. Order ONLINE Today! Mens Carhartt Double Front Work Dungarees is rated 4.8 out of 5 by 6. 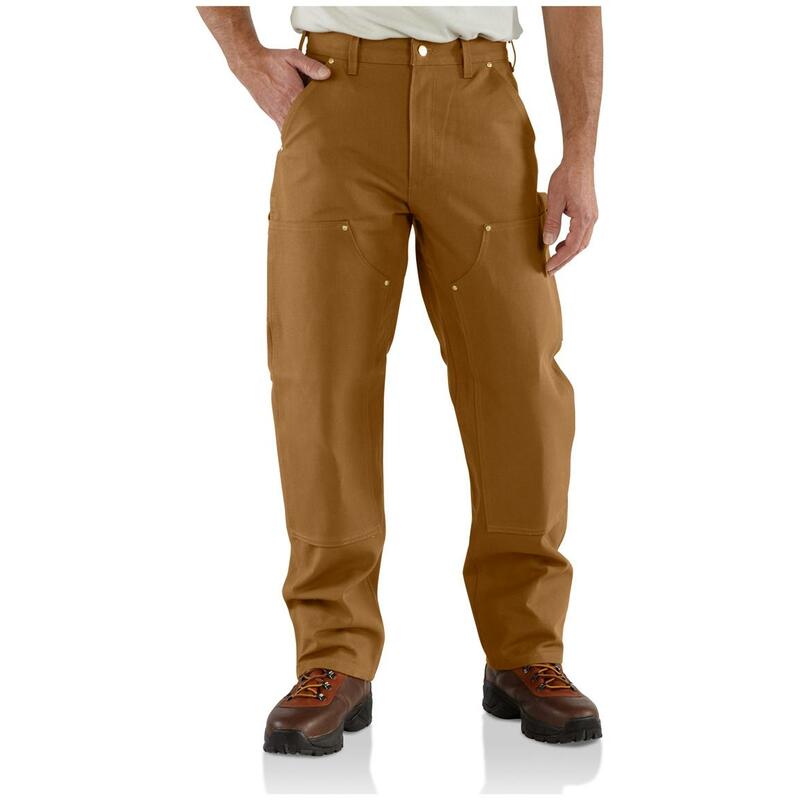 Rated 5 out of 5 by Cliff S from Great pants These work pants are just what I needed. They fit well, are rugged, and have plenty of pockets. Rated 5 out of 5 by Jc3y2k from Excellent product Great work pants. I wear them everyday and am very hard on them. I am regularly on the ground grinding dirt and other trash into them and they take it all without even a scuff. Rated 5 out of 5 by RonB from Good price, plus free shipping Heavy duty Carhartt pants made to out last the competition. 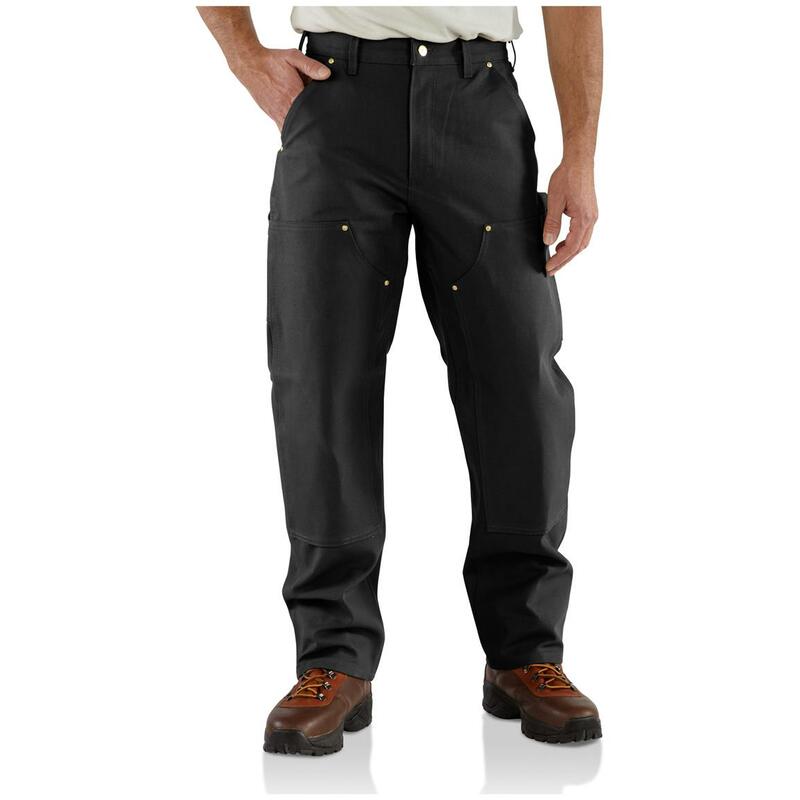 Rated 5 out of 5 by CPD Farm from Rugged and comfortable These tough double front work dungarees are great for demanding loggimg and clearing we are doing on our mountain property, and they are roomy enough for the squatting, bending, and climbing required. The rivets are cold. Ideal for adapting to changing weather conditions.